Home > Blog > Social Media > Weekly Infographic: The Best Days and Times to Post on Social Media! 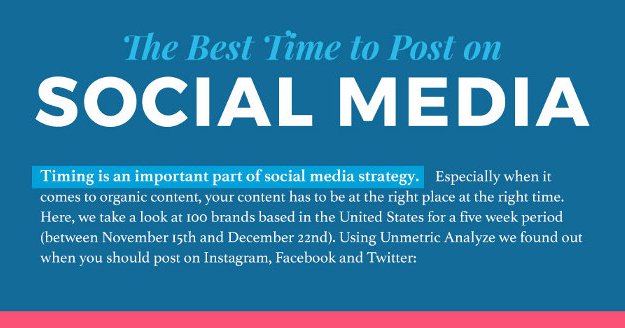 Weekly Infographic: The Best Days and Times to Post on Social Media! What is the best time for posting on social media? Unmetric, which is an AI-powered social analytics firm conducted a review of social media posts from 100 US-based brands over a period of five weeks. They presented the data in the form of an infographic which explores answers to that question. 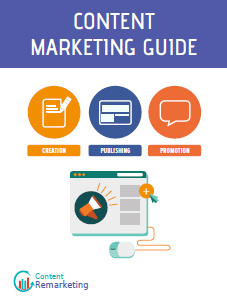 They found that when it comes to organic content, your content should be at the right place and right time. The review confirmed that the best times for publishing brands is between 11Am-2Pm. More than 25% of all comments received by photos were registered during that period. User activity on Instagram was at its peak between 4-6 pm. This could be because of people leaving for office or school. Wednesday and Thursday are the best days for posting on Facebook. The highest audience activities between 8-9 Pm. The MarketingProfs infographic discusses the best times and days of the week for posting on social media.